High temperatures and a smattering of cowbells heralded a soft start to the cyclocross season in New England this weekend. CompEdge Cross, a two-day event held in Forest Park and Blunt Park in Springfield, MA, attracted about 200 racers each day, including some top-level athletes looking to get the year’s first races into their legs. On Saturday’s race in Forest Park, Curtis White (Cannondale p/b Cyclocrossworld.com) took a comfortable solo win on a course that featured hard-packed fire roads, fast descents and root-strewn trails. 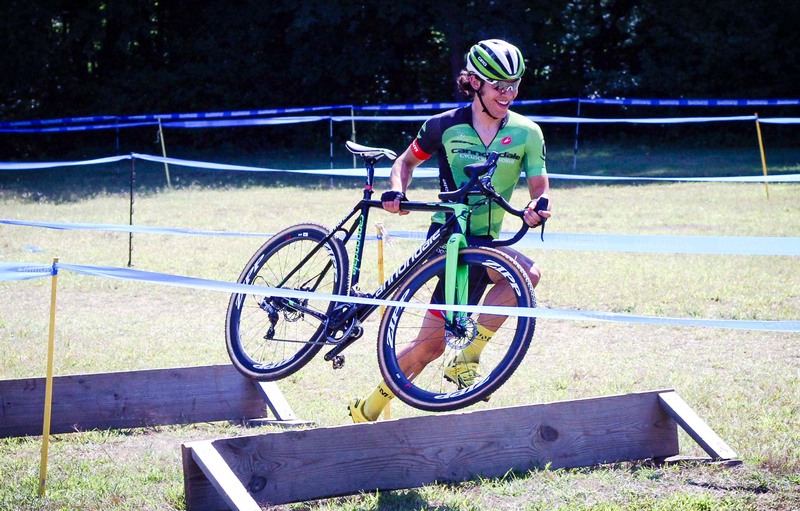 It was a chance for the New York-based racer to get an early start on a campaign that will take him to Europe and to his first UCI Elite World Cup race at Cross Vegas on September 16th. In the women’s field, Jena Page Greaser was on the top step both days. 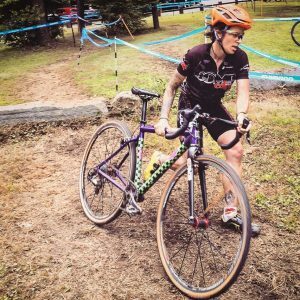 Greaser, a professional mountain biker, is fundraising to go Pro in her cyclocross career with a goal of winning a UCI race this season. Jena Page Greaser. Photo © Matthew Snow. Jena’s campaign will continue at the Ellison Park Cyclocross Festival in Rochester this weekend. She will then head to Nittany Lion Cross and the Gran Prix of Gloucester. Notes: You can watch a POV video of Saturday’s CompEdge Cross course. Special thanks to Cyclonauts Racers for putting on the event and holding my filming gear while I endoed in the 3/4 race.